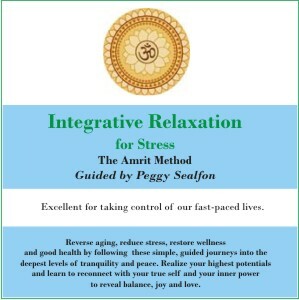 Integrative Relaxation FOR PAIN RELIEF in the Amrit Method addresses pain caused from injury or illness. 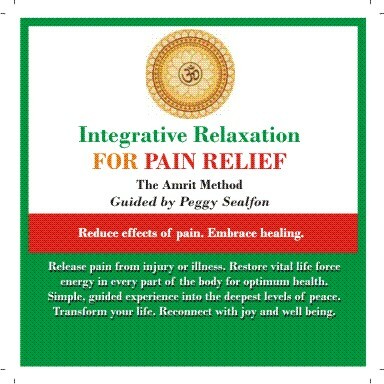 If you�re suffering from any kind of pain, this CD can change your life and reconnect you with joy, tranquility and renewal. In just 30 minutes, you will be guided into a safe, deep state of total relaxation where spontaneous healing can occur effortlessly. The experience brings balance to your mind, body, heart and spirit; effectively releasing and dissolving pain and dis-ease. 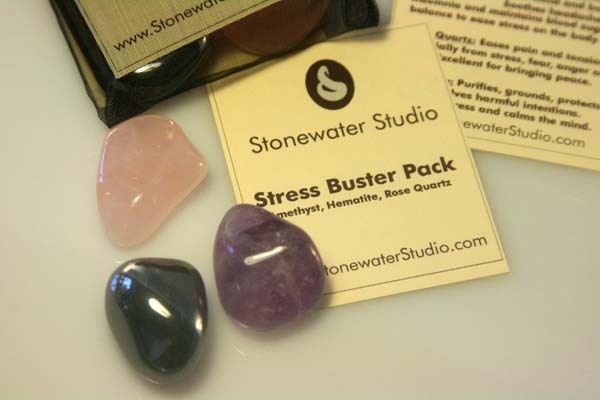 Balance the energy centers and restore harmony and well being. Start each morning or end each evening with this practice for dramatic benefits. 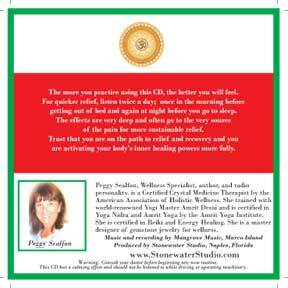 Let go, Trust in your body�s healing powers and surrender to wellness. 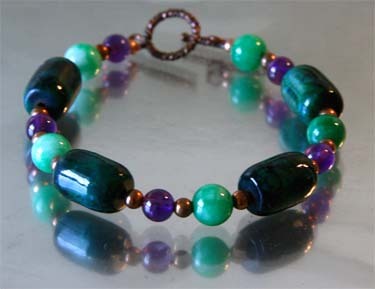 The attractive combination of Chrysocolla, Chinese Jade, Amethyst and Copper can help reduce the pain and inflammation from arthritis.